The Lancaster County Conservancy and City of Lancaster are partnering with Hand Middle School to assist in develop a schoolyard habitat that will both capture stormwater while educating youth in the school and throughout the community. (c) supplying a nutritional food source for the youth and their families. Schoolyard habitats have a wide range of benefits that positively impact the local community (both human and non-human components), beyond providing a healthy food source and providing an aesthetically appealing space to an urban environment. Evidence of these benefits is demonstrated in the collaborative problem-solving of Green Hands students during a continuing school grounds habitat restoration project. Through the Upstream/Downstream program led by the Lancaster County Conservancy two middle school classes (Martic Middle School in Manor Township and Wheatland Middle School in the School District of Lancaster) spent a half day touring green infrastructure projects in Lancaster City during the spring of 2014. Pictured above are Wheatland students journaling on the green roof at Tellus 360. Below are students from Martic Middle School at the Wolf Museum Residential Demonstration project. The green infrastructure tour was one component of the program that involved in school education along with a full day stream study at Climbers Run Nature Preserve and a full day on the bay with the Chesapeake Bay Foundation. By seeing the downstream impact of stormwater and other pollution firsthand, the students gained a more tangible understanding of their own actions upstream as well as the purpose of Lancaster’s green infrastructure plan. For more information on how your school can tour green infrastructure in the City of Lancaster please contact Fritz Schroeder with the Lancaster County Conservancy. A math word problem: The School District of Lancaster has three. So does Franklin & Marshall College. 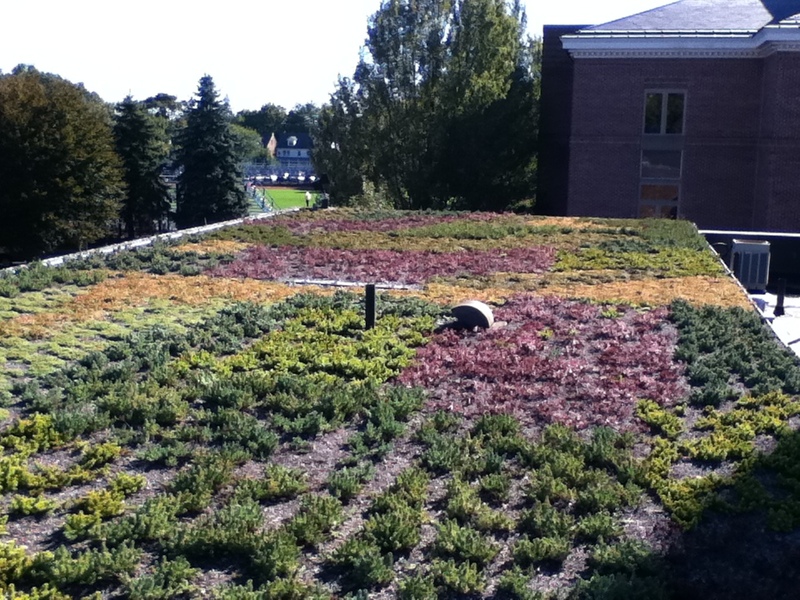 If there are six green roofs, covering 41,370 square feet, what does that equal? Answer: D – All of the above. You can find green roofs at Wharton, Ross and Lafayette Elementary Schools. 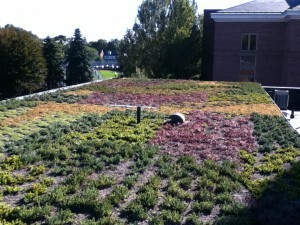 You can also find them on top of the Wohlsen Sustainability Center, Weis Hall and Schnader Hall at F&M. 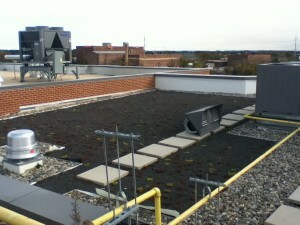 Together,these green roofs eliminate some 800,000 gallons of stormwater every year. Pretty smart.